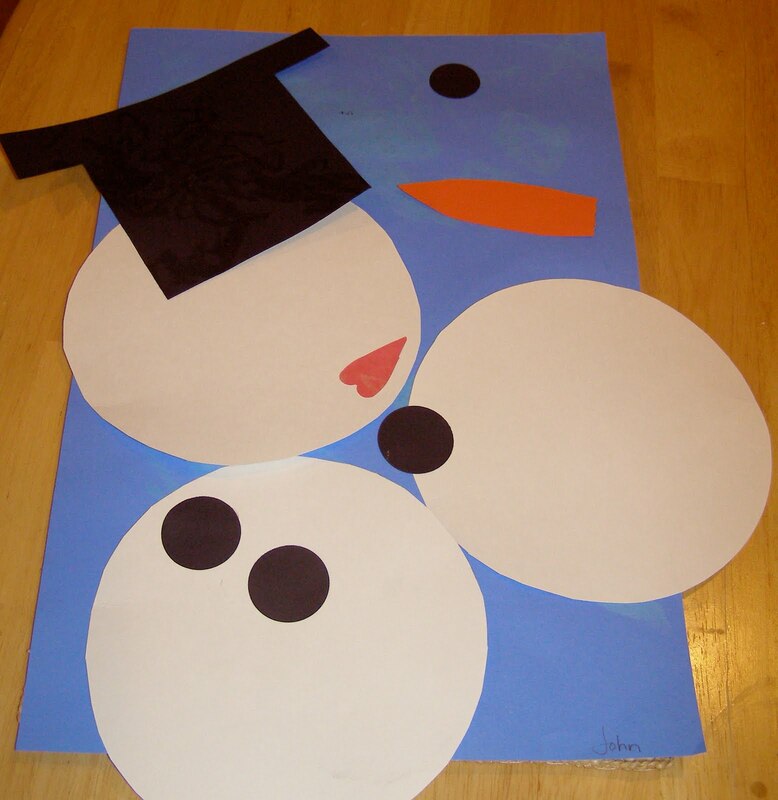 My two-year-old was asked to build a snowman with construction paper and glue in pre-school the other day. Handed all the appropriate parts (a hat, a nose, black buttons and three white snowballs) here’s what came home. Clearly, we have a budding Jackson Pollock on our hands.